The project “Support the Implementation of Good Governance in Sport” (SIGGS), managed by the EOC EU Office has been selected by the European Commission for EU co-funding under the Erasmus+ Sports Programme. This decision was published on Friday 5 December. The SIGGS Project will run for two years and will start in January 2015. 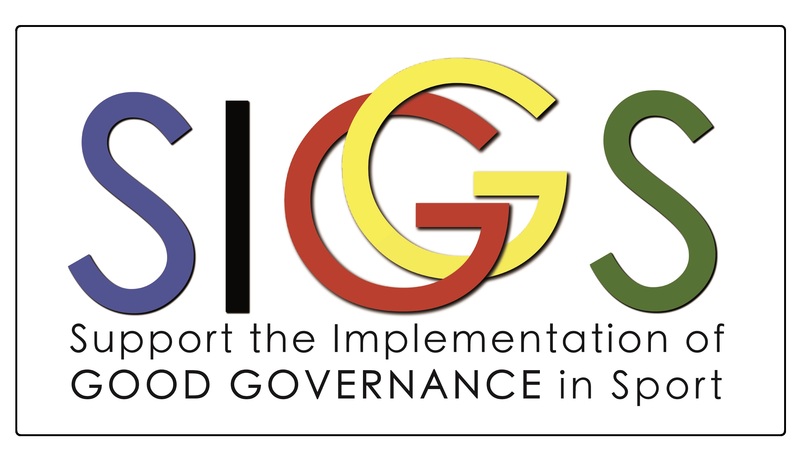 The SIGGS Project builds on the achievements of the “Sport 4 Good Governance” (S4GG) Project, which was successfully coordinated by the EOC EU Office between January 2012 and June 2013. Whereas the S4GG Project successfully raised awareness on good governance and provided educational tools (e.g. self-evaluation tool), the SIGGS Project has an even more ambitious goal. It aims to help National Olympic Committees (NOCs) and national sport federations by providing practical guidance on how to implement principles of good governance. The Basic Universal Principles of Good Governance of the IOC and the EU Principles on good governance in sport will serve as the main reference documents. To achieve this ambitious goal, various activities will be organised. As the focus will be on practical and individualised help, the project will seek to customise these tools and training according to the needs of the respective sport organisations. The national training sessions, which will be organised in 7 European countries, will therefore be conducted based on individualised tools and with a customised approach. A Steering Committee, consisting of experts from various fields and sectors, will be responsible for the general guidance of the project.